PS. THESE BACK IN STOCKKKKK HERE!!! 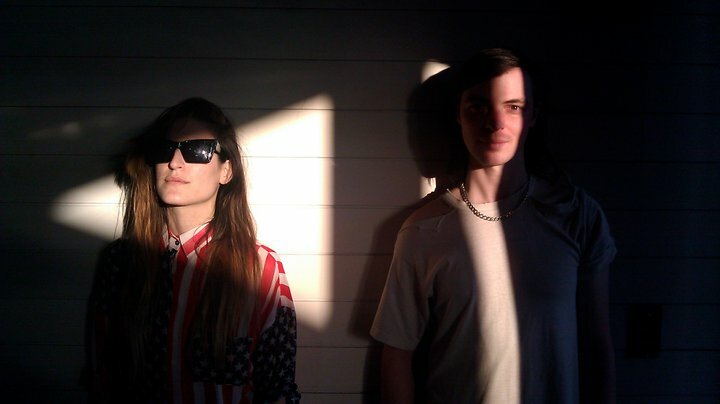 and at last the AMAZING ioanna from the band IO ECHO in the UNIF America shirt. Couldn't be more stoked that she is wearing UNIF. Check them out HERE! love your scarf and your crop top . you look great ! 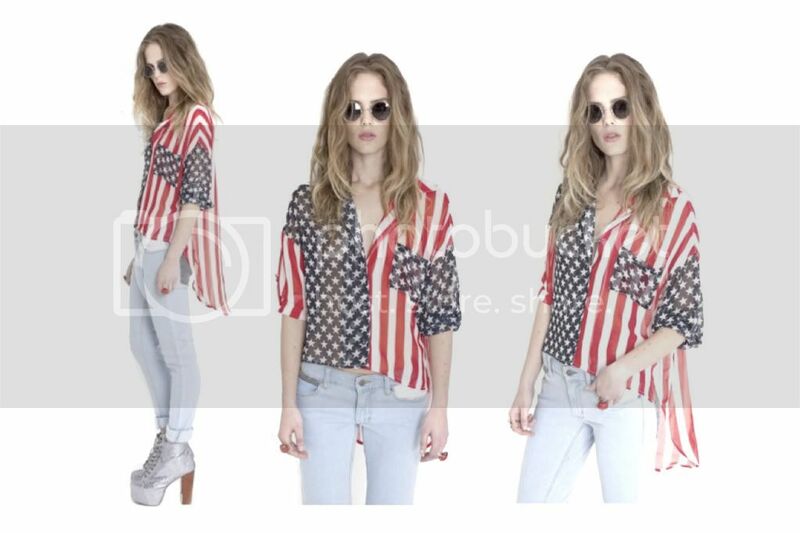 so glad the american flag top is back in stock ! your hat is the perfect width i have been looking for one just like that. AMAZING! love the cardi and the boots! Awesome outfit again. I'm Taiwanese, haha :). Love UNIF, just don't have the money.. ugh. Hey, would you mind if I post a link to your blog? I'm your #1 stalker. what a great outfit! you look fantastic. love the scarf,shorts and cardigan! love that scarf!! beautiful ..
wow you look so good! Amazing outfit you had!! You have the coolest style. Love the laid back look to this. That scarf is amazing too! Great scarf. You always manage to look all over the place, yet it works! You're just too great. How in the world did you make all these pieces come together perfectly!? Girlfraaannn - best LAX fit if ive ever seen one! LOVE it! If I saw you at LAX, I would probably stop in my tracks. That outfit is the BOMB DIGGIDY BOMB! But honestly. You look so cool. 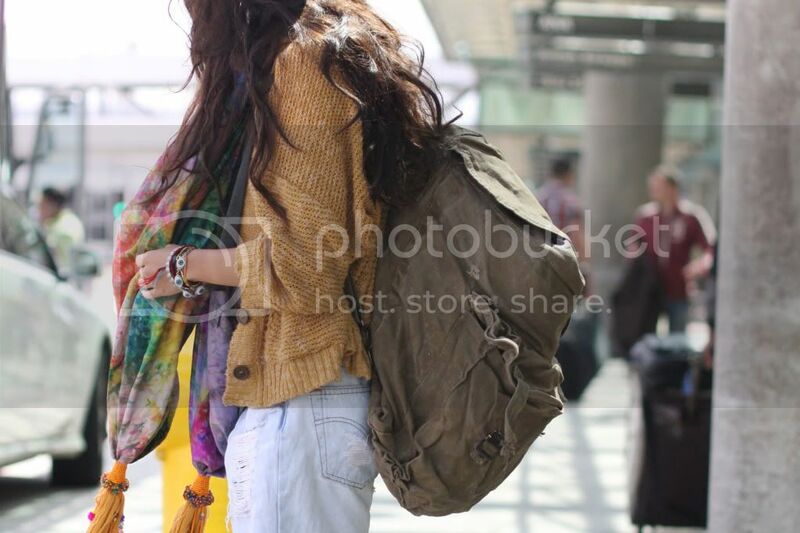 I love the scarf and the backpack ! love your travelling outfit too, its great that you're adding more memories to that backpack, i bet its been through some adventures! i adore your travel outfit. you look stunning. layers are so important- and you make them look so chic.